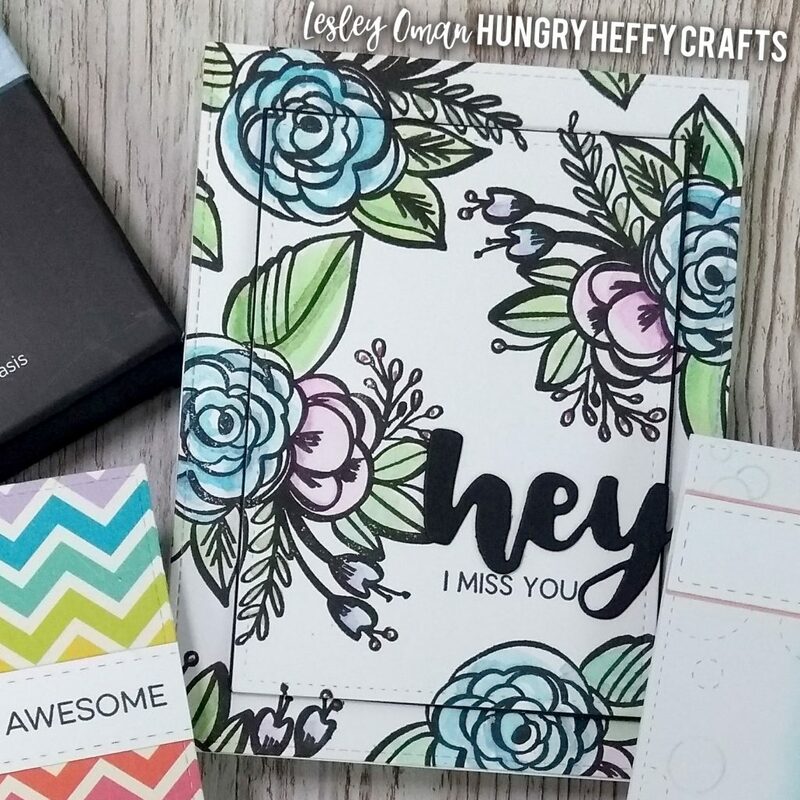 This week I had a surprise package THAT INCLUDED CRAFTY GOODIES! WOOHOO! Best. Surprise. Ever! 🙂 My friend and DT Sista Jessica McAfee sent me a parcel will some goodies. Not only did she send me a gorgeous stamp set from The Stamp Market (my first one from this brand!) 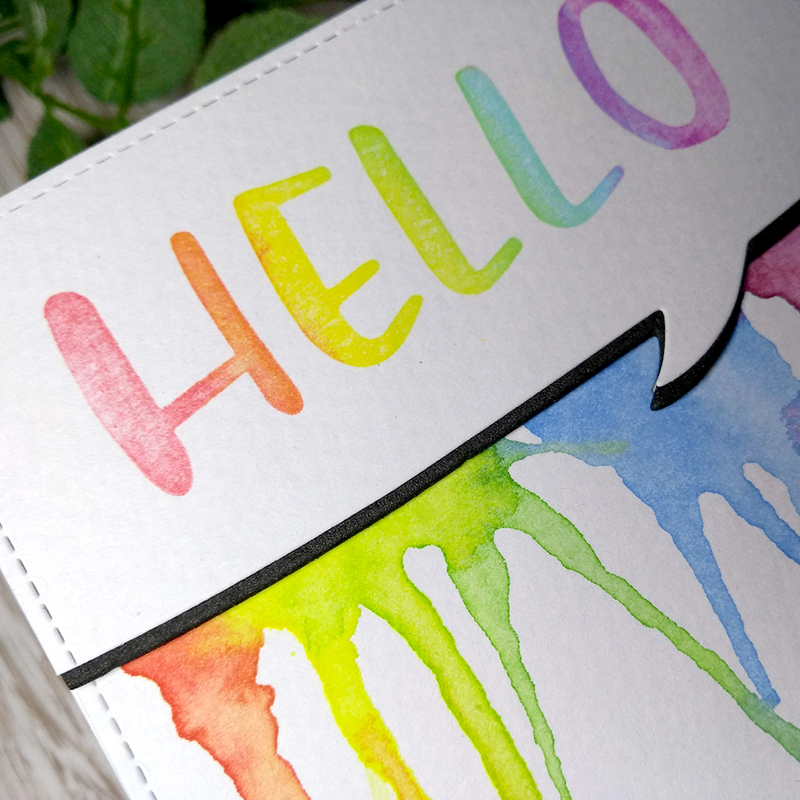 but also a set of Aqua Markers by Spectrum Noir. As i managed to get a bunch of copic second hand a few years ago, i have never used spectrum noir alcohol markers before, and i certainly hadn’t tried this aqua collection either. I knew i wanted to test them out on my ComeCraftWithMe LIVE stream. 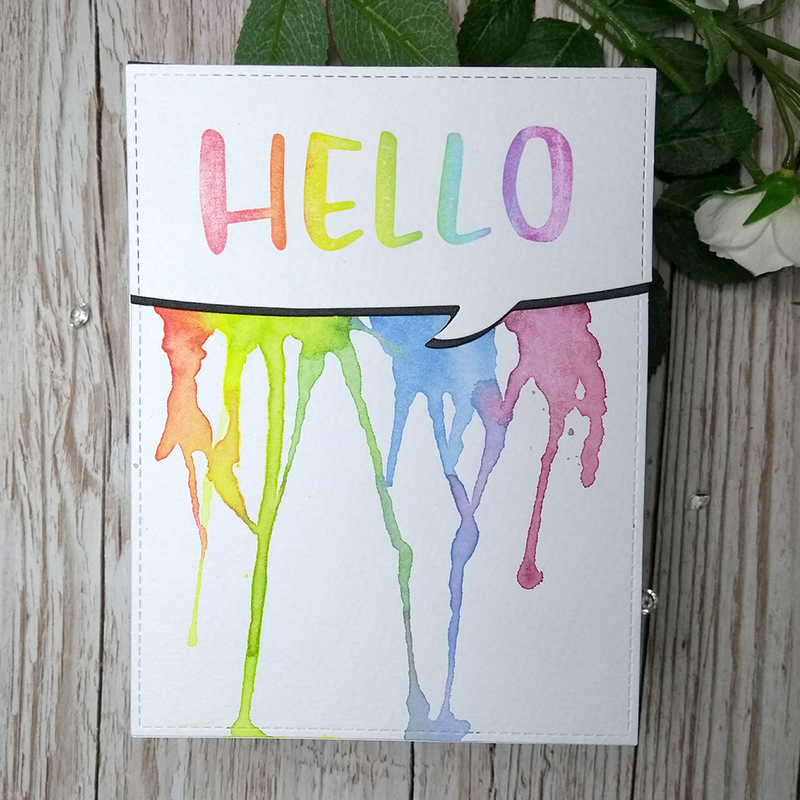 I also treated myself to some new stamps recently, so i also used some of these in the other projects, but i couldn’t wait to get started with the aqua markers. 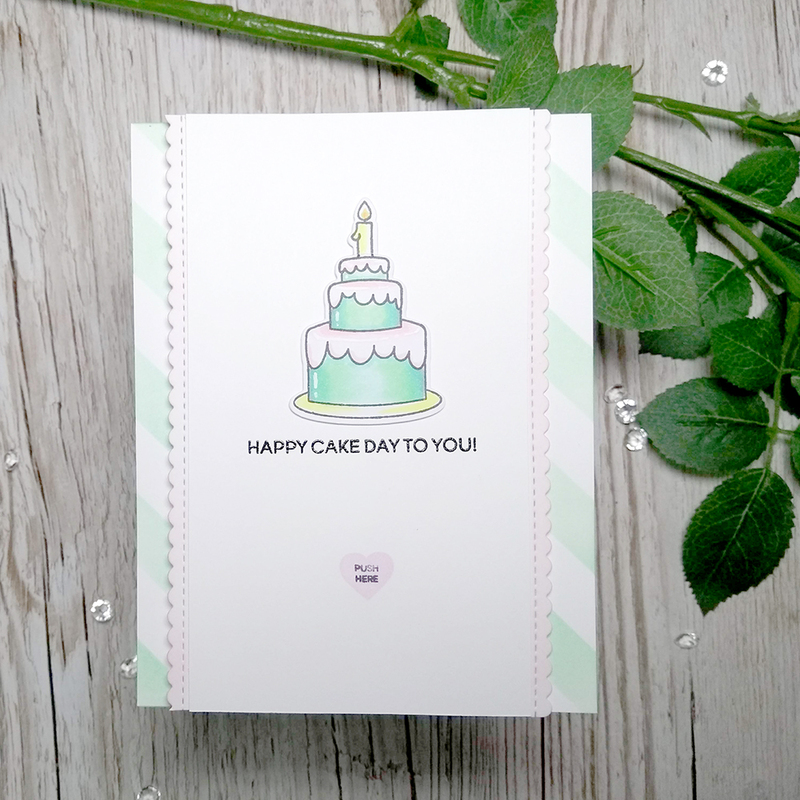 This Flora Bella set from The Stamp Market is lovely. Whimsical and bold, and they were a good size for creating a background. 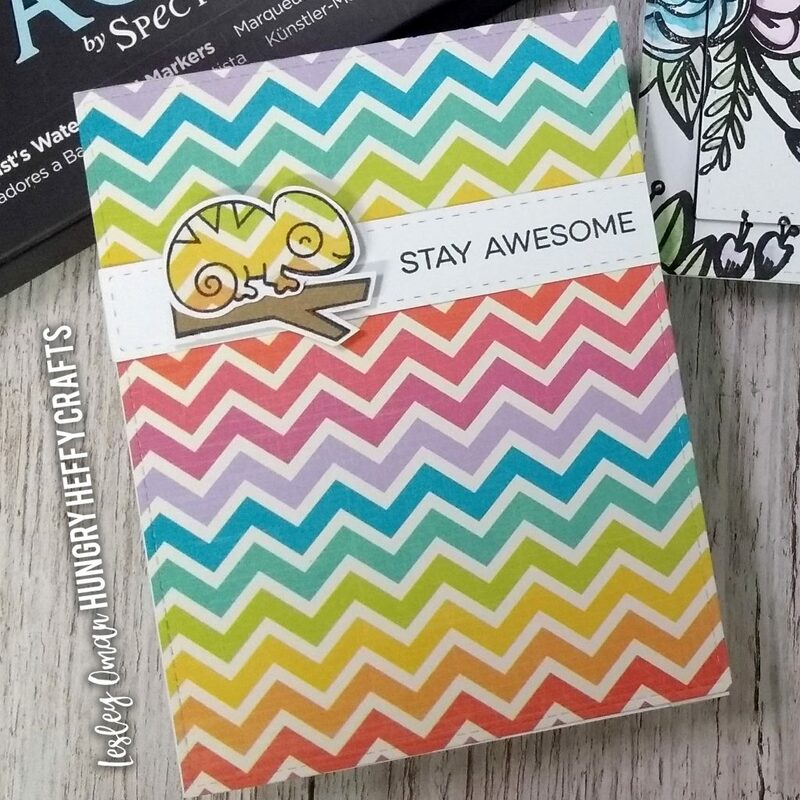 I stamped it all over some card and then used the aqua markers to color them in. I scribbled the aqua markers onto some plastic and used a water brush/ brush to pick up the colour mixed with a little water. It kinda acts like an ink or watercolour paint in that way. You can also mix the colours really easily. There were no greens in my set, but the yellow and blue can be mixed to get lots of variations on tone. This means one set goes a long long way. I finished the card with a I MISS YOU sentiment and also the HEY Heffy Cut from Heffy Doodle. 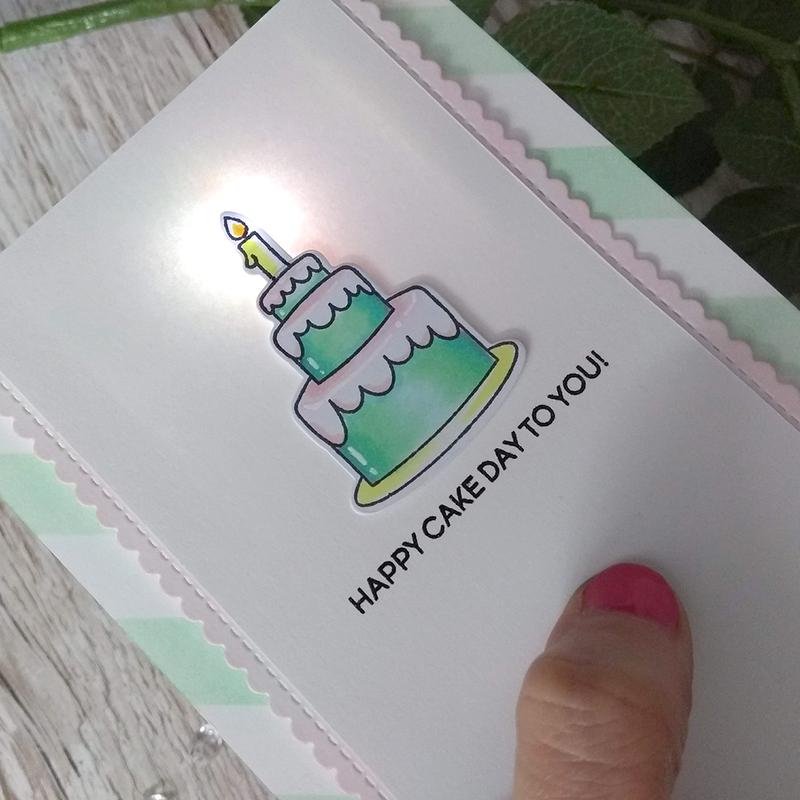 I was so excited about this card. It features the Rub-a-dub-dub set from Lawn Fawn. I waited for ages to get this stamp. 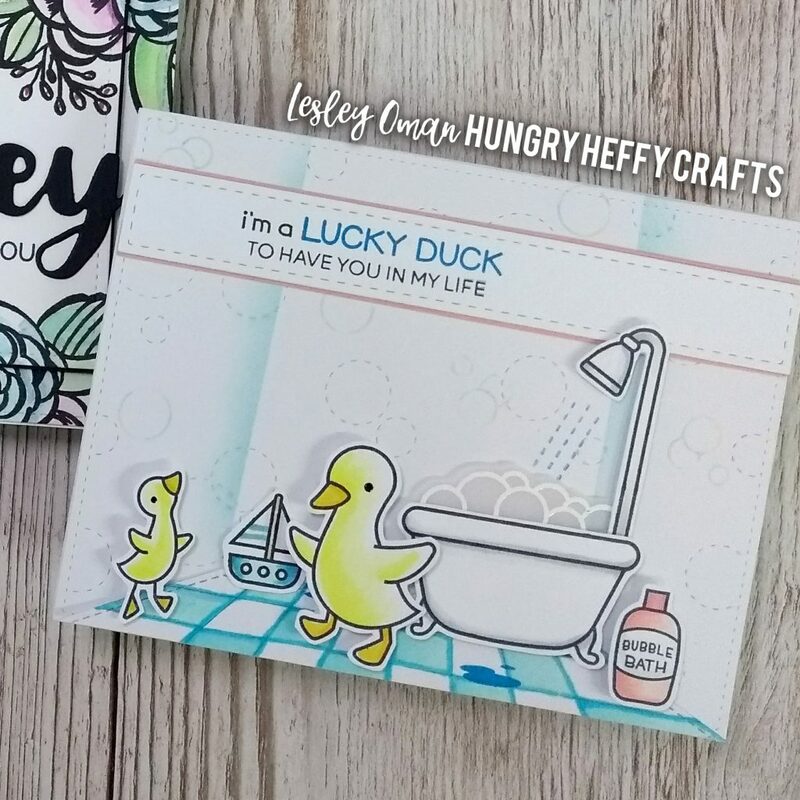 The photo makes it look a little neon – I promise it is not like that IRL) 🙂 I used the stitched bubble background from Heffy Doodle to create a fun background and then created a floor using a border die from MFT stamps. I added a little ink along the edge of Heffy Memo tape to give my ‘bathroom’ some dimension. 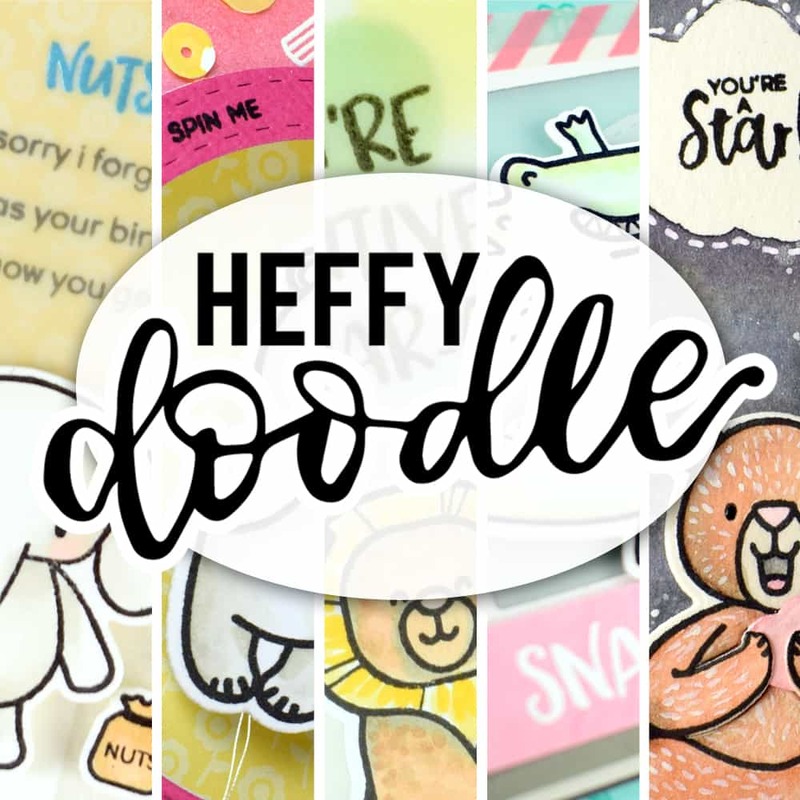 I’ve used the Heffy Doodle strips of ease dies to create the sentiment panel. Three cards. One live stream. One tired Heffy. 🙂 To watch the whole video on playback, check out the video below. 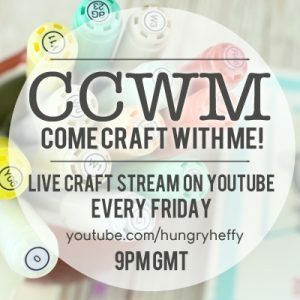 In this ComeCraftWithMe LIVE stream, I had a very special guest! YAY! 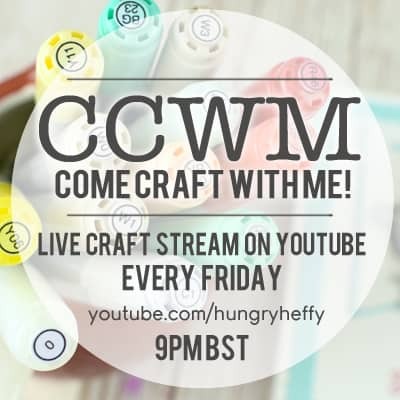 I love having ‘guests’ on CCWM – it’s like when your favourite shows do a Xmas special, or you see a familiar face cameo in an unusual place! So fun! Anywaaaaaay…. 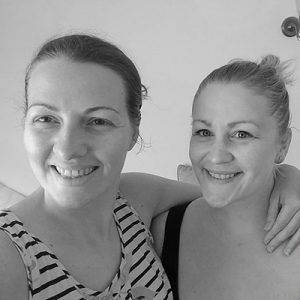 in this CCWM video I had the pleasure of Lizi from LoveFromLizi.com. 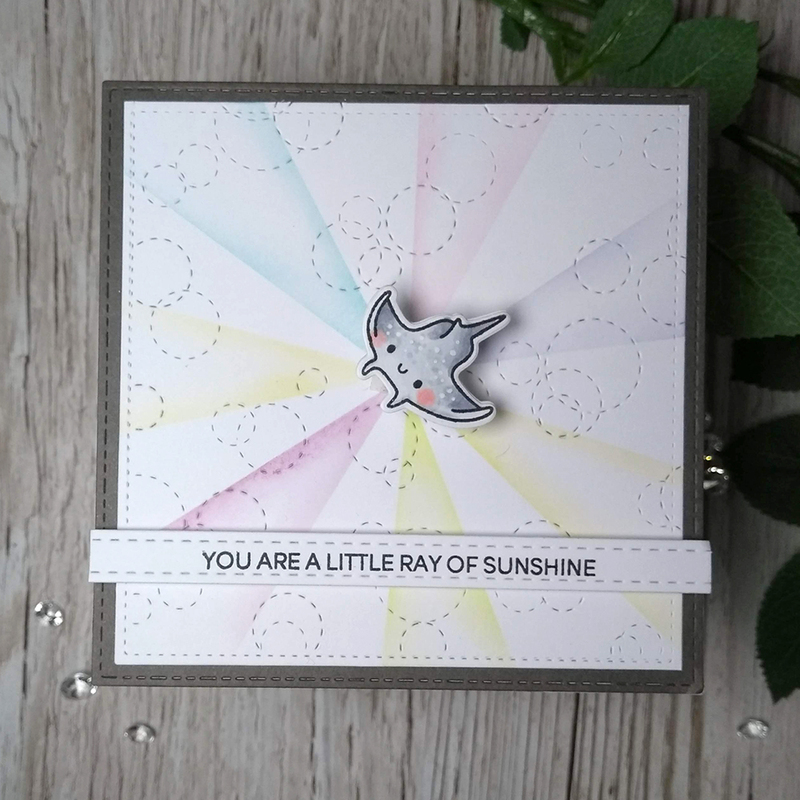 If you are unfamiliar with Lizi, she has a fabulous cardmaking kit each month, and also has an array of mega packs and add on options which you can see over on her shop LoveFromLizi.com. 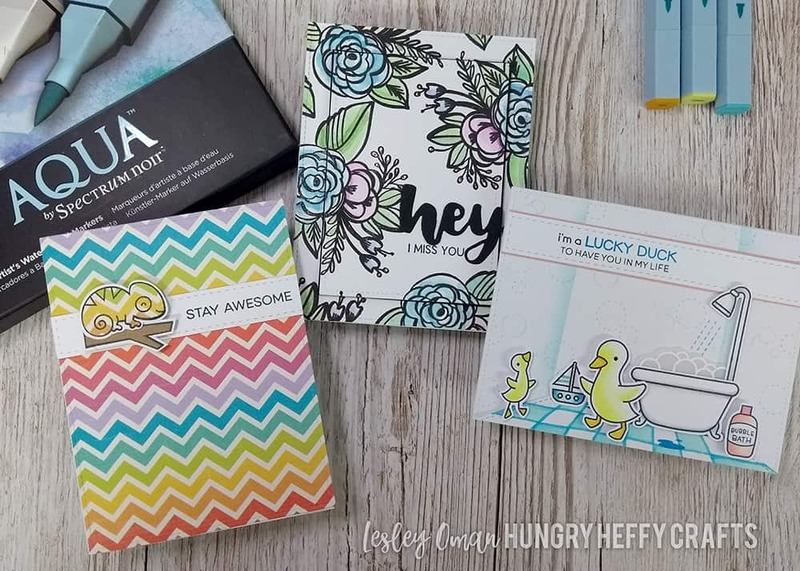 She also has a brill YouTube where she shares wonderful ’10 Cards One Kit videos’ which are jam packed with inspiration. So we tried something new. Lizi was streaming from her phone to her LoveFromLizi Facebook Group and I was streaming to YouTube. Because of the double set up, we had to use different mics so the audio may be a bit quieter than usual in this video. 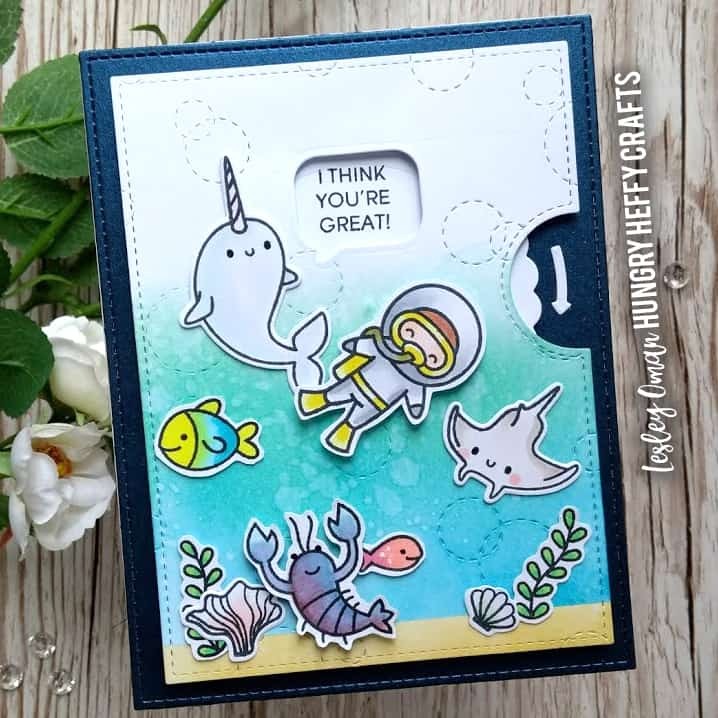 I simply had to make a card with the You Are Sublime set from Lawn Fawn- and mix this with the new Heffy Doodle Oceans of Love set. They go SO well together! 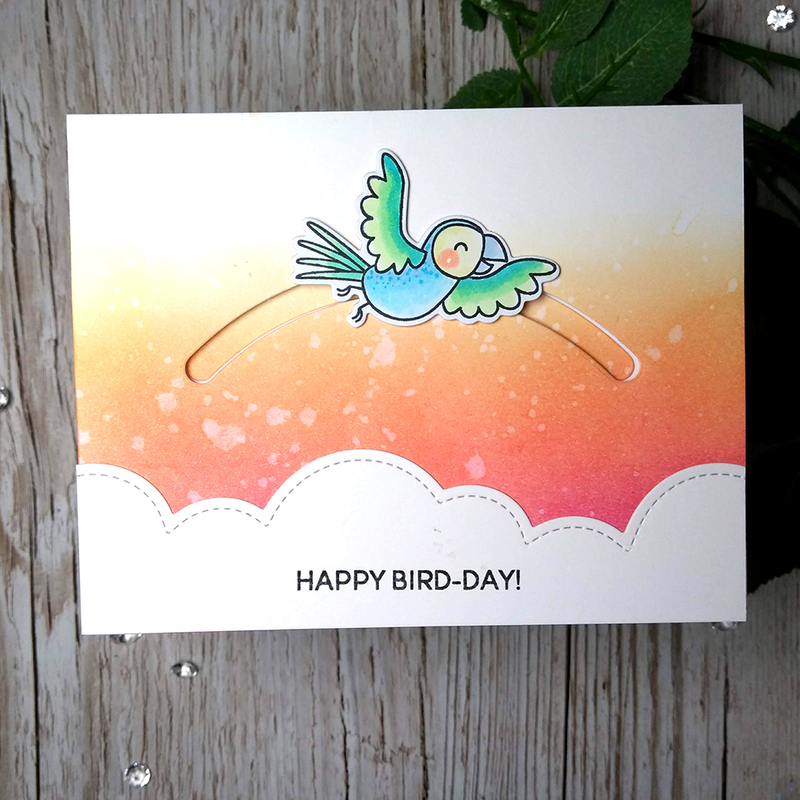 Lizi had the new Lawn Fawn reveal wheel die, so I managed to get one of those for this card! Yippeee! I decided to use the Whatcha Saying die from Heffy Doodle to create the reveal aperture. I think it works a treat! The sentiments in this set are perfectly sized, so i was able to use these for different word options on my wheel. VOILA! 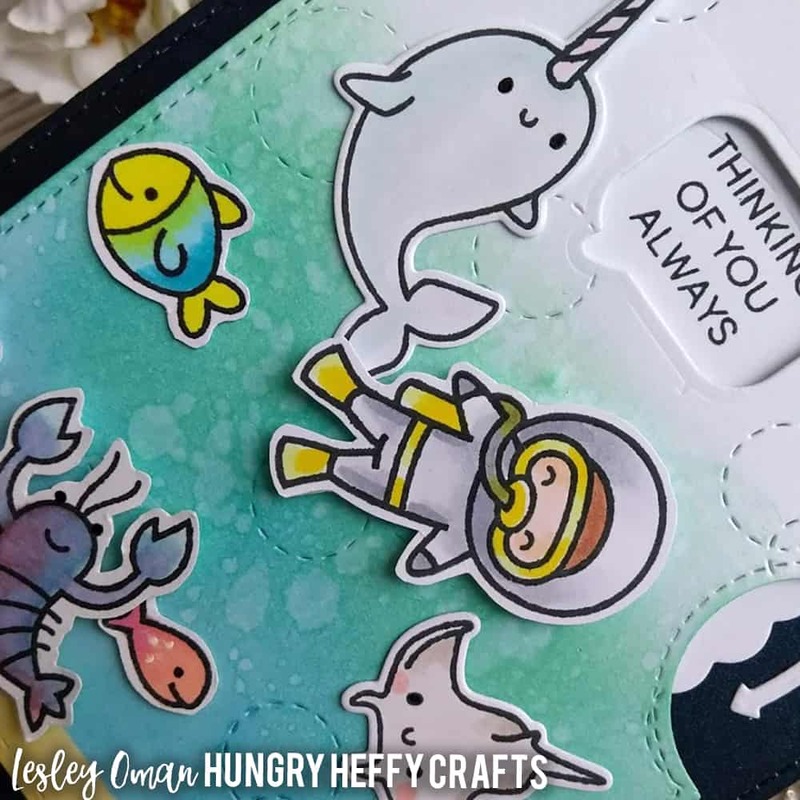 For an extra special effect, I used the Heffy Doodle Stitched Bubble Background die over the top of the reveal wheel panel, which means there are these cool bubbles on my card – perfect for this underwater scene. A little distress ink to create my ombre background (with a seabed of course) and all i needed was some critters to finish my scene. 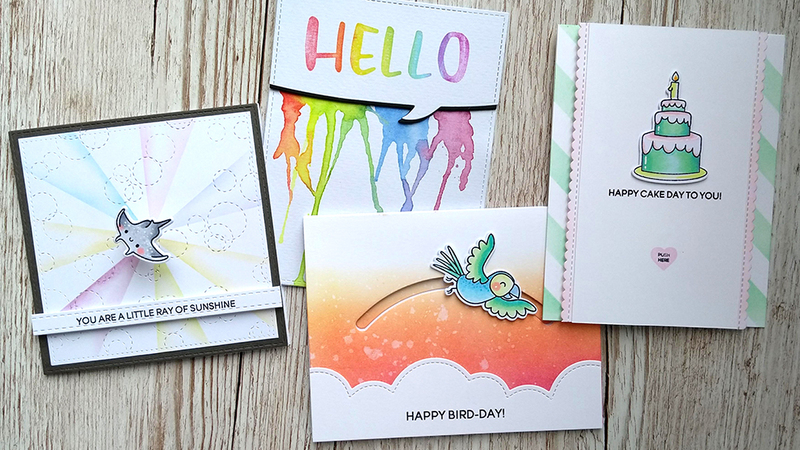 Lizi made some cards using a stamp set from her store and also using the LoveFromLizi mega kit which have some cute hot air balloons. Want to watch the whole video on playback? Well, here it is. 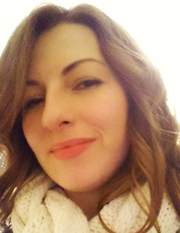 THANK YOU Lizi for coming to play!